The staff at Olathe Cancer Care demonstrates a unique blend of efficiency and compassion. We understand the challenges posed by a cancer diagnosis. Every member of our team plays an important role in optimizing care for our patients. We recognize that every journey is different and work to create an individualized treatment plan that suits the situation at hand. Our experienced and enthusiastic team is dedicated to improving physical and emotional health. Dr. Lee is the founder of Olathe Cancer Care. After graduating with honors from Baker University, he attended medical school at the University of Kansas, where he also completed his internal medicine residency and oncology fellowship. Dr. Lee is board-certified in internal medicine and medical oncology. Dr. Lee operated as a solo practitioner for 16 years, from 1988-2004. He was joined by Dr. Corum in 2004 and Dr. Reddy in 2009. Dr. Lee holds a faculty appointment at the University of Kansas, and has served as chief of the medical staff at Olathe Medical Center, as well as the director of the Olathe Hospice program for over 20 years. He has been listed in Best Doctors in America for 2008-2010 and Kansas City's Best Doctors for 2007-2010. 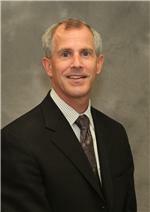 Dr. Lee enjoys his time with family and friends, golf, almost any sport, landscaping, and involvement in his church. Dr. Corum joined Olathe Cancer Care in 2004 following completion of his hematology-oncology fellowship at Vanderbilt University in Nashville, Tennessee. After graduating first in his class at the University of Kansas medical school in 1998, he completed an internal medicine residency at the University of Virginia in Charlottesville. Dr. Corum is currently "triple boarded" - i.e., board certified in internal medicine, hematology, and oncology - and is equally interested in all these disciplines. Dr. Corum has been recognized for academic achievements, including an award as the top academic performer during medical school and an outstanding fellow award during his time at Vanderbilt. He authored the chapter on treatment of locally-advanced lung cancer in the major lung cancer textbook in circulation. He holds a faculty appointment at the University of Kansas. In his time away from work he enjoys spending time with his family, reading, and designing and firing professional fireworks displays. Dr. Reddy completed his clinical training in 2009 at Kansas University Medical Center, where he also completed medical school and fulfilled his internal medicine residency. In addition, he also completed a Masters of Public Health with honors in 2009. 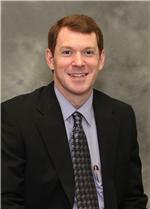 He is board certified in Internal Medicine and currently board-eligible in Hematology and Medical Oncology. Dr. Reddy enjoys caring for patients with both benign and malignant hematologic disorders, as well as all solid cancers. Academic achievements include winning 1st place for a research poster presentation at the national meeting of the American College of Physicians and publication of several articles on cancer medicine. 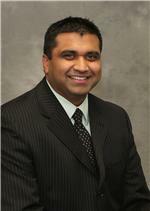 Dr. Reddy holds a volunteer faculty appointment at Kansas University Medical Center - division of Hematology/Oncology. He is also commissioned as a Major at Whiteman Air Force Base where he serves in the United States Air Force Reserve. In his free time he enjoys volunteering, listening to music, and following professional and collegiate athletics. Amber graduated from Neosho County Community College with her R.N. in 2001. 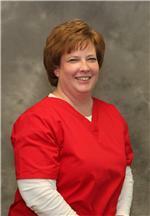 She then acquired a broad experience as a nurse while working on the floor at Olathe Medical Center. 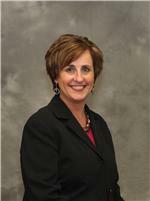 Upon finding a passion for oncology patients, she joined the Olathe Cancer Care team in 2004. She quickly became a veteran oncology nurse and achieved her OCN (Oncology Certified Nurse). When away from the office, Amber directs her considerable enthusiasm toward her family. Teresa graduated from Nursing school at Southern Union State in Alabama in 1989. Since that time she has garnered oncology experience in a variety of settings. While relatively new to the OCC team, Teresa is one of our most experienced members. With her genuine caring manner, she was found to be a perfect fit for OCC in 2008. 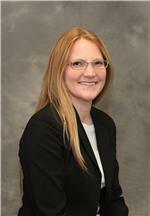 Lauren graduated from Hesston College with her R.N. in 2007. 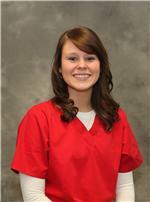 After graduation she worked on the oncology/orthopedic ward at Olathe Medical Center before joining OCC in 2008. Lauren has a terrific enthusiasm for life and a passion for oncology patients. Melodie was the second member of what is now a thriving group dedicated to oncology patients. She joined Dr. Lee in 1989 and for over 20 years has been responsible for planning, directing and coordinating the daily operations of Olathe Cancer Care. 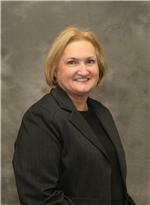 Linda has extensive experience in navigating insurance issues and is instrumental in our billing department. 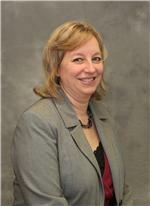 She is also responsible for aiding with patient assistance programs. Every staff member at Olathe Cancer Care helps create a pleasant experience for our patients. Our front desk personnel will greet you on your arrival and will provide the friendly voice behind the phone when you reach us. Our schedulers will work with you to determine the most convenient times to set physician and chemotherapy appointments. Lin has been a part of our team since 2006. Although she has several roles, she primarily works scheduling appointments, tests and procedures for Dr. Lee's patients. 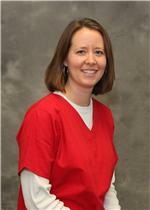 Kristin has been a member of the Olathe Cancer Care team since 2006. She has various roles, but is primarily responsible for scheduling appointments, tests and procedures for Dr. Corum and Dr. Reddy. 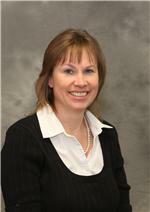 Lydia has been with Olathe Cancer Care since 2004 and is a versatile member of our front office staff. 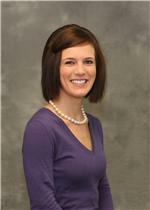 Katie has been with us since 2008 and primarily works the front desk. She will greet you on arrival and set a pleasant tone for your visit. Our practice's billing department has a broad knowledge of insurance issues and can assist patients with the navigation of these challenging matters. This ensures that our patients and physicians alike can focus on what's most important: your health. We manage each patient's data with an electronic medical record (EMR). This information is used to support patient care services, research, health system reimbursement, and other administrative activities. While our goal is to be a paperless environment, it is often necessary for us to gather information about your medical history from outside sources. In that event, we may ask for your assistance to obtain records or results relating to your previous health care.